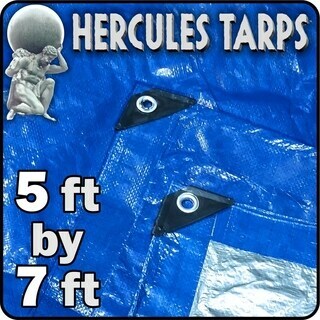 For the toughest jobs, you need one of these heavy-duty, super-heavy-duty or extreme duty poly tarps. 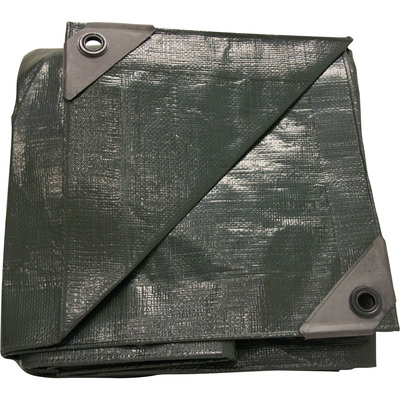 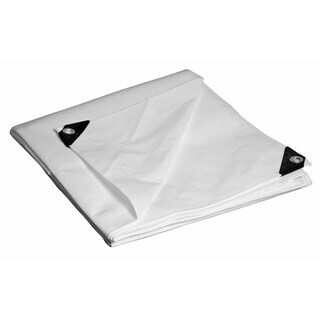 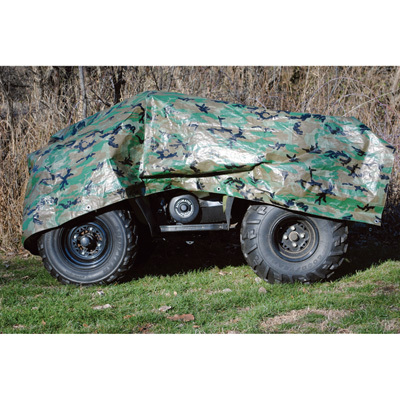 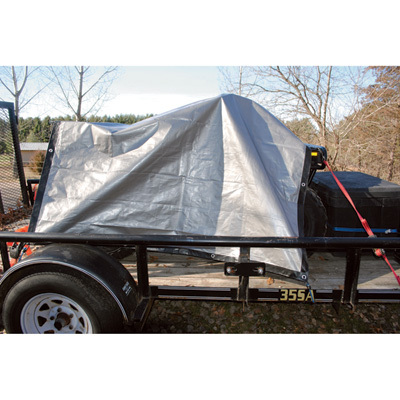 Heavy-duty canvas tarps are also available. 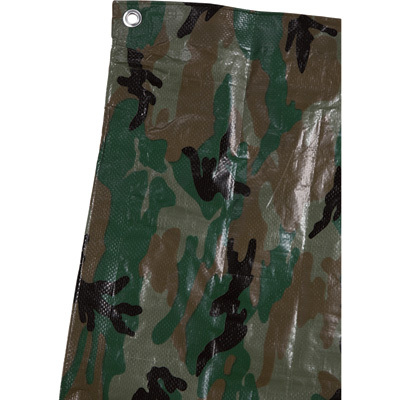 Roughneck 3.4-Oz. 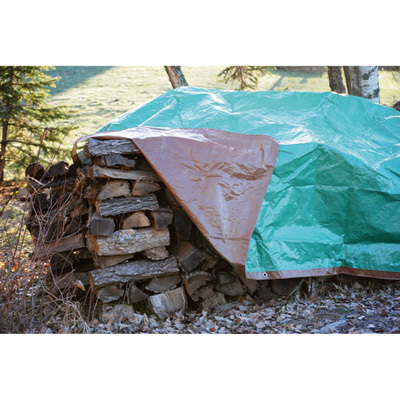 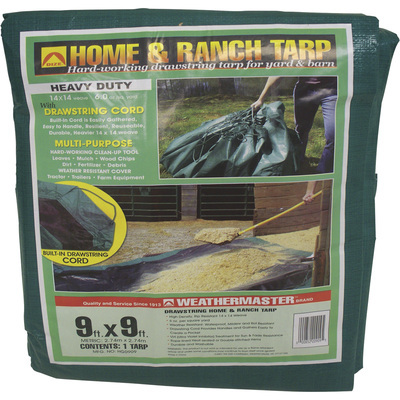 Heavy-Duty Woodpile Tarp - Brown/Green, 4ft. 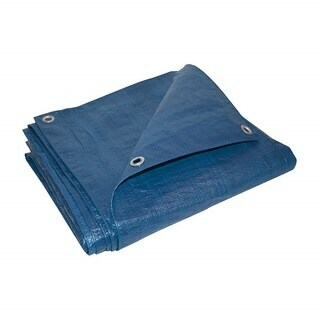 x 18ft. 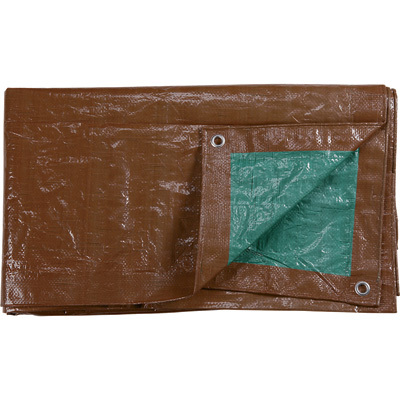 Everbilt 3553956 Heavy Duty Tarp Silver-Brown 6 ft. x 8 ft.
Everbilt 3553957 Heavy Duty Tarp Silver-Brown 8 x 10 ft.